عندما تزور ملبورن, ستشعر أنك في بيتك في فندق ترافلودج دوكس لاند الذي يقدم لك إقامة متميزة و خدمات عظيمة. يمكن من هنا للضيوف الاستمتاع بسهولة الوصول إلى كل ما تقدمه هذه المدينة النابضة بالحياة. يضفي محيط الفندق اللطيف وقربه من داكلاندز ستاد, ‪Water Tower Clock‬, Docklands Park سحراً خاصاً على هذا الفندق. إن الخدمات التي يقدمها فندق ترافلودج دوكس لاند تضمن للنزلاء إقامة مريحة. يمكن لضيوف الفندق الاستمتاع بالميزات التالية على أرض الفندق: واي فاي مجاني في جميع الغرف, خدمة التنظيف يوميًا, مكتب الاستقبال على مدار الساعة, مرافق مخصصة لذوي الاحتياجات الخاصة, تسجيل وصول/خروج سريع . استمتع بوسائل الراحة الراقية في الغرف أثناء إقامتك هنا. بعض الغرف تتضمن تلفزيون بشاشة مسطحة, غرفة معيشة منفصلة, اتصال لاسلكي بشبكة الإنترنت (مجاني), غرف لغير المدخنين, مكيف هواء لمساعدتك على استعادة طاقتك بعد يوم طويل. كما أن مجموعة الخدمات الواسعة الموجودة في الفندق لضمان راحتك تترك لك الكثير من الخيارات لقضاء وقتك أثناء فترة إقامتك. استمتع بخدمات لا يعلى عليها وعنوان ذو اعتبار في فندق ترافلودج دوكس لاند . Stayed 6 days. Good buffet breakfast, comfy bed, toiletries replenished daily. Room service food was also pretty good. Microwave in the room saved me a lot of money. Also love that there is a washing facility downstairs. Great place to stay . Comfy rooms close to all of Melbourne. Tram in Collins Street to City a few minutes walk away. Quiet area. Simple room great if staying to go to Etihad stadium. Cafes close by for Breakfast. Walk to most things or at least to transport. Inexpensive for being so close to Melbourne central. Can walk from Spencer Street station if come by bus form airport. We stayed in a triple room which was great! The location is ideal, it was clean and modern and they were willing to store our bags prior to check in, and after check out! 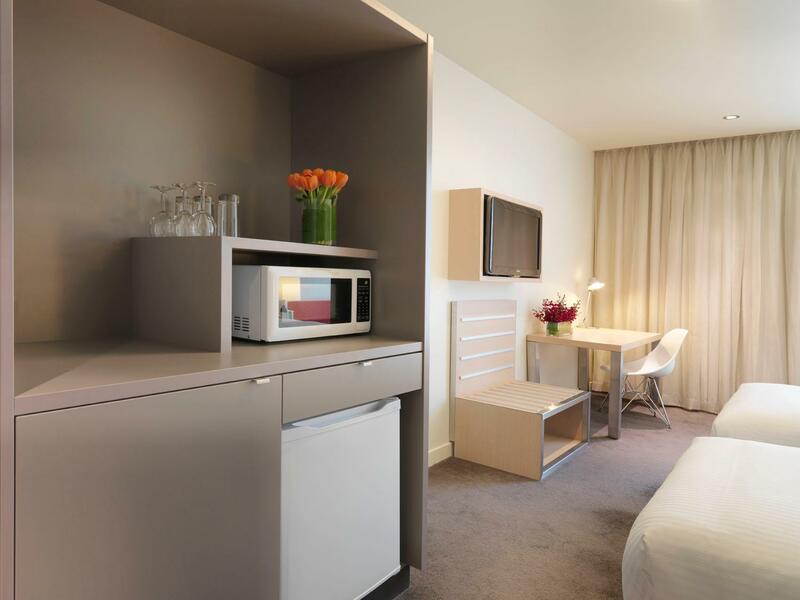 Travelodge provides a modern, clean and standard accommodation expected of most business hotel chains. Interactions at check-in was minimal and somewhat cold, lacking the warmth I'd expect of a business in hospitality. 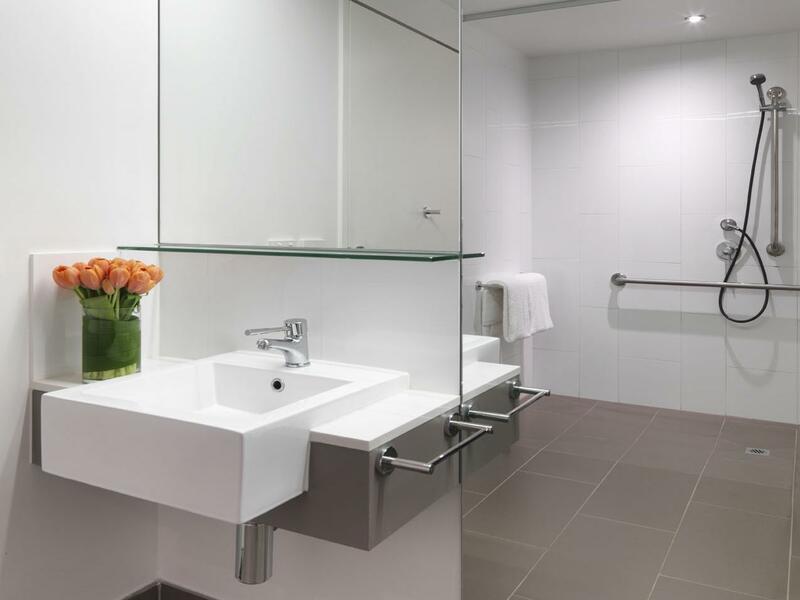 Rooms were clean and functional, amenities provided are typical of most major hotel chains. Free wifi was capped at a speed of 1mbps which is pretty slow, with the option to upgrade for a fee. The intermittent dropping of signals made the surfing experience worse. 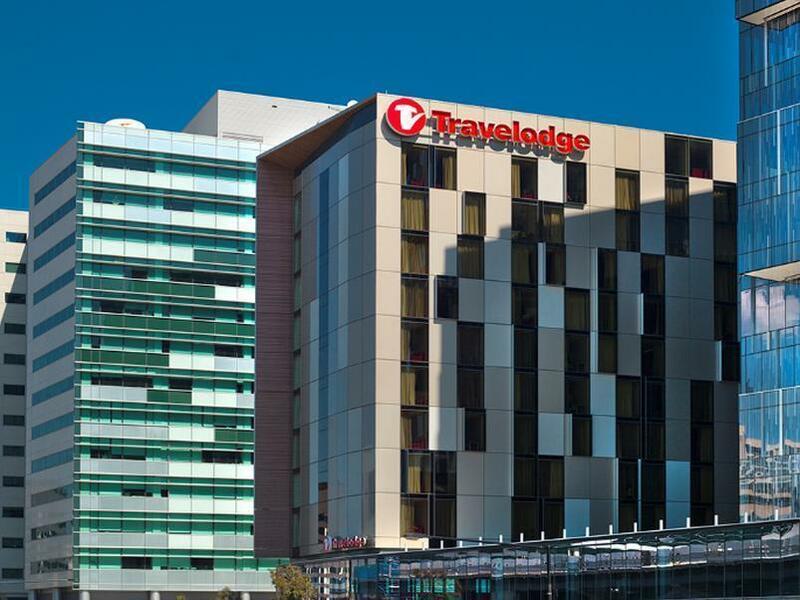 Travelled down by train to attend goodfriday footy, travelodge hotel is very close to ground with pedestrian access to southern cross station. Very good eateries within 100 mtrs made the trip quite enjoyable. good location, comfortable bed, big room. the amenities inside the room even beat other 5 star hotels - coffee/tea, microwave, iron, bathrobes, fridge, etc. i was definitely a pleasant surprise. stayed only 1 night and i slept so well that i even missed breakfast in the morning. Convenient location with just a few minutes walk to Southern Cross station. Plenty of restaurants nearby as well. Spacious and clean rooms. Friendly and helpful reception staff. However the hotel free wifi is very slow. 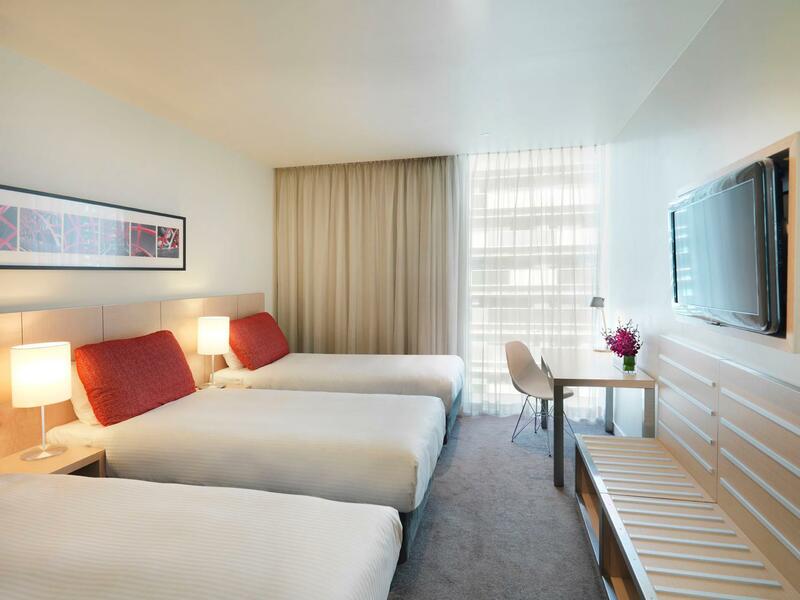 Located behind the Southern Cross Railway Station, this is an excellent hotel to stay at when in Melbourne's CBD. The rooms are spacious and clean, and quiet, especially when you are so close to the train station. Trams and trains easily accessed from this hotel. Follow signs from the Bourke Street walking bridge to find it. Hotel location is very good, near to many places as well as train station, bus station, airport transfer. The cleaning service is more environmental type (do not use electric or water too much). So do not expect the cleanliness if you want a clean. At least i do not feel sneeze and happy with this. Wifi is so troublesome - have to login after 24 hours, up to 4 devices but it is not friendly. When it sudden log off by itself, it asked wait for next 24 hours to get new login. Overall, it is good if you are not into Wifi. Travelodge is environmental type so save electric, water and so on. It was a great stay at Travelodge where the staff was very helpful. Location was great as it was just behind southern cross station and walking distance to trams which is linked to all the places of interests in the city. Will recommend the place to other travellers. Great location, comfy bed, nice rooms. I wasn't expecting a lot from a Travelodge hotel, but I was pleasantly surprised. The room was great, with a very comfortable bed and a fantastic view at night. Breakfast was delicious, and the car parking was reasonably priced. Remember to get your parking validated at the front desk. The cupboard in room no. 927 had a bad musky smell. Need to put in an air freshener. The general lighting of room could be brighter. Could not find the switch to right bedside lamp. Supply of cotton buds, nail file and bedroom slippers would be helpful. Still, nothing can match the location of hotel to Marvel Stadium. Convenient location, just 3 minutes to the skybus station. It’s also close to DFO outlet. It’s price is worth it. Breakfast is nice.